A REMINDER: A FREE concert of “Dances for Organ and Violin” will take place at 11 a.m. this SATURDAY, tomorrow, in the Overture Hall in the Overture Center. Madison Symphony Orchestra organist Samuel Hutchison is featured along with UW-Madison violinist Eleanor Bartsch. 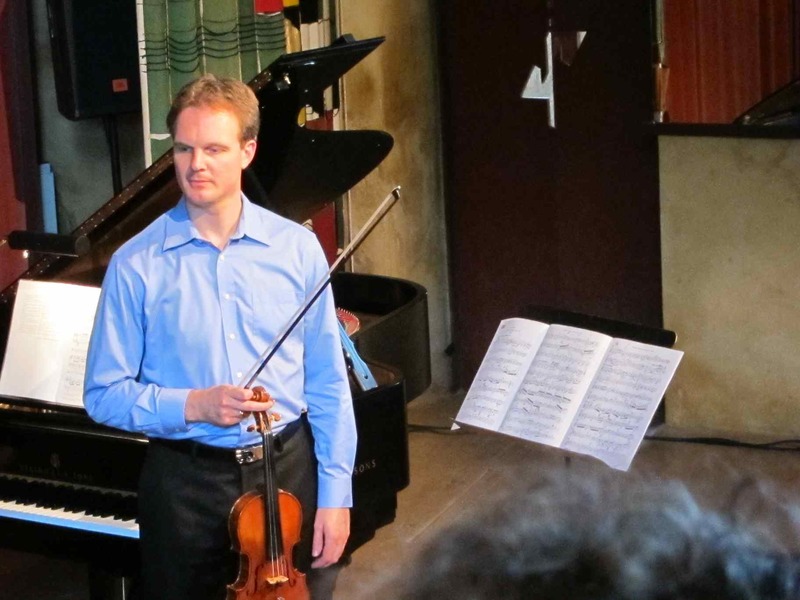 The program includes music by Strauss, Kreisler, Bach and others. The event is part of the MSO‘sthree free Farmers’ Market concerts in Overture Hall at 11 a..m. on the second Saturday of the month through August. more For information, visit http://www.madisonsymphony.org/farmersmarket. 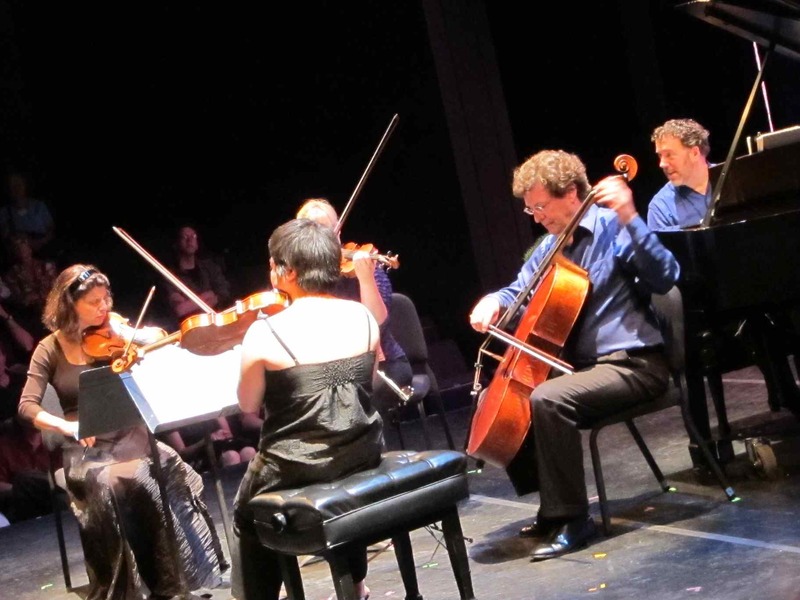 This weekend marks the opening of the three-week season (June 10-26) of concerts that the Bach Dancing and Dynamite Society will hold in Madison, Stoughton and Spring Green to celebrate its 20th anniversary. Co-founders pianist Jeffry Sykes and flutist Stephanie Jutt (below) recently answered questions for The Well-Tempered Ear. Over the past three days, that interview has been posted. Today is the last installment. Are there special programs or pieces in each program you want to draw the public’s attention to? What ones and why? Bach’s “Coffee” Cantata (in “We Will, We Will Bach You”): I made a modern translation/adaptation of Bach’s “Coffee” Cantata. This comic masterpiece — essentially a miniature opera — will be fully staged and features three incredible singers. Stephanie chimes in: We’re going to stage it at “Star-Bach’s”! 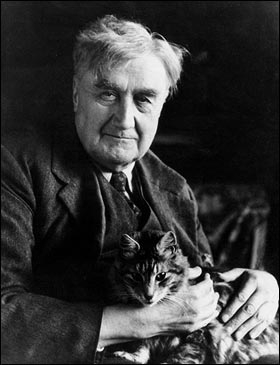 Vaughan Williams’ “On Wenlock Edge” (in “Bach Around the Clock”): this incredibly moving song cycle for tenor, strings and piano features the fabulous Madison-based tenor Gregory Schmidt. Not to be missed. Gershwin’s “An American in Paris” (in “The Empire Strikes Bach”). 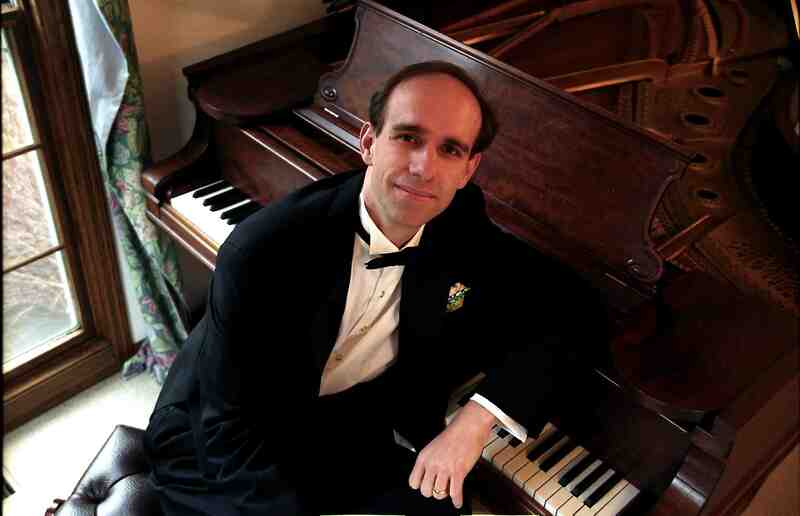 Christopher Taylor (below) and I will be performing Gershwin’s ORIGINAL version of this great work for two pianos. Gershwin wrote it and performed it on two pianos before orchestrating it. It’s THRILLING and a total blast. We’re also doing an educational outreach concert for kids featuring this piece. Stephanie chimes in: Our special children’s concert, featuring Gershwin’s “American in Paris,” and also J.S. Bach’s Brandenburg Concerto No. 5, is a new event that we are adding this year. We truly hope families will come out for this free concert in the Overture Playhouse at 11 a.m. on Saturday, June 18! CUNA Mutual, the law firm of Murphy and Desmond, and the Overture Center have all been very generous and helped us create this INTERACTIVE concert, geared towards elementary school aged children. Messiaen’s “Vision de l’amen” (in “Bach of Ages”). This rarely-heard masterpiece again features me and Kit Taylor on two pianos. 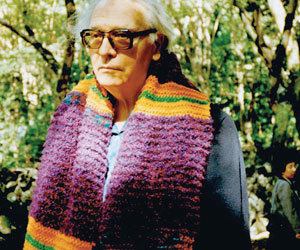 Kit, as you know, is a great player of Messiaen (below). His performances of the “Vingt Regards” have won international acclaim — just look at his review in the New York Times. This will be his first time playing Messiaen’s other great cycle. I’m thrilled to be doing this with him. As with the Messiaen performance in our second season, we’ll have readings I’ve selected between the movements. These readings, all suggested by Messiaen’s introductory remarks to the piece, are either Biblical passages or in a few cases poems written by 10th-13th century monks. Stephanie chimes in: Linda Clauder, one of our most treasured former board members, will be our reader. Ravel’s Piano Trio (in “School of Bach”). This is one of the greatest pieces of chamber music of all time. 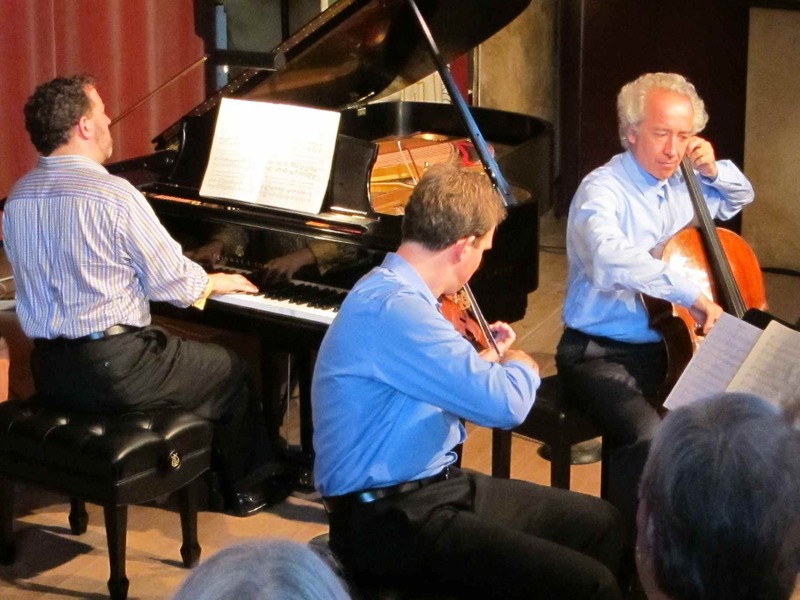 I’m thrilled to have my colleagues from the San Francisco Piano Trio (below) join us again in Madison. Barber’s “Souvenirs” (in “The Cradle Will Bach”). This fabulous piece for piano four-hands will be extra special this year: we have cameras and projection screens in Overture so the audience can see and enjoy the elaborate choreography of four hands on one keyboard! Brahms’ B Major Piano Trio (in “The Cradle Will Bach”). We’re ending our season with another one of the greatest pieces of chamber music. Honestly, music doesn’t get better than this. Can you comment on specific programs (their theme or unity) and on standout pieces and unusual arrangements (like the Coffee Cantata or Haydn symphony in “miniature”)? I’ll give you a little 411 on each program. “Bach Around the Clock”: This is named for Haydn’s “Clock Symphony,” one of the most famous Haydn symphonies. Haydn’s friend, the impresario Salomon, arranged Haydn’s 12 “London” Symphonies for flute, string quartet, and keyboard. These arrangements are fantastic — you’d never guess this wasn’t Haydn’s original intent—and in many cases, scholars have used Salomon’s arrangements to clear up confusion in Haydn’s full scores. 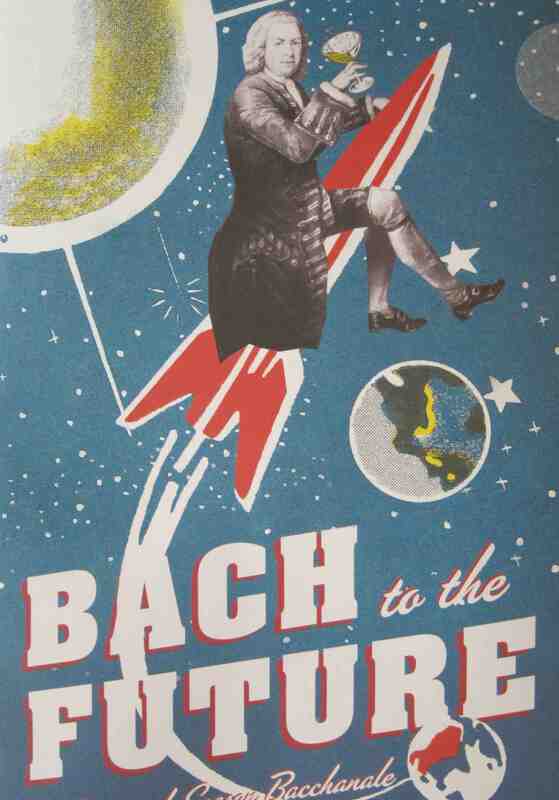 “We Will, We Will Bach You” is a catchy name for a program that really will rock you. Rorem’s “Unquestioned Answer” is at turns beautiful, thought-provoking and exciting. 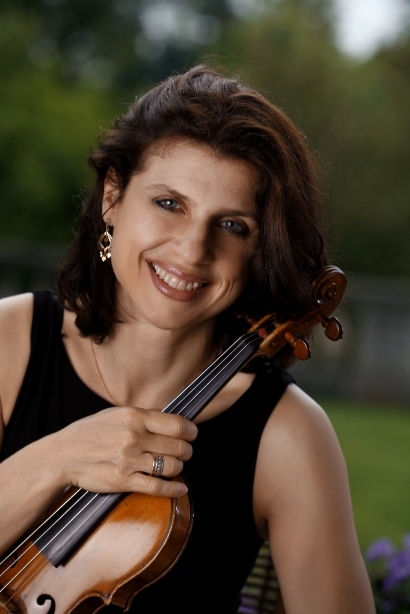 And the Franck violin sonata with Carmit Zori (below) playing will definitely light your fire. And then the VERY funny “Coffee” Cantata of Bach — this program rocks. Or, as we say, Bachs. “The Empire Strikes Bach” could perhaps be better titled “Bach Jr. Strikes Bach at the Empire” — but it just doesn’t have the same ring to it. We’re featuring one of great works by C.P.E. Bach (below) from the end of his life, the Quartet in G Major for flute, viola, and piano. (Yes, a quartet for three instruments. Come to the concert to find out more.) C.P.E. Bach worked for much of his career under King Frederick the Great of Prussia, and only late in his career was free to write the music he really wanted to write. 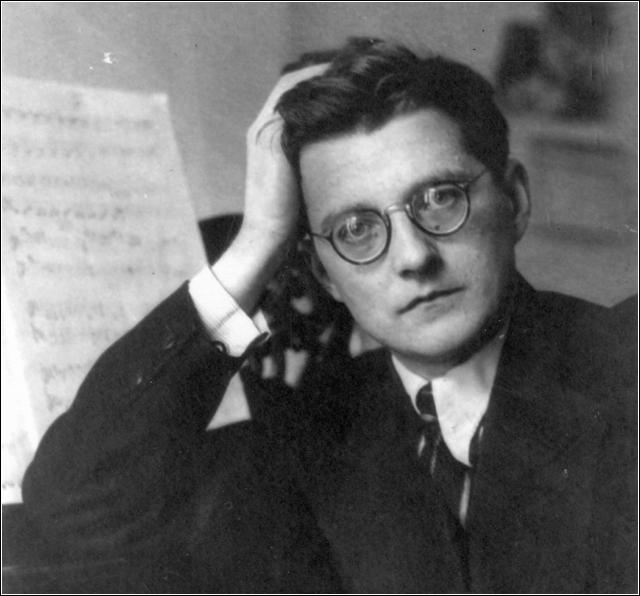 We’re also featuring Shostakovich’s great piano quintet—a product of the Soviet empire, but subversive like a lot of music by Shostakovich (below). And of course the cornerstone of the program is the original two-piano version of Gershwin’s “An American in Paris”! “Bach of Ages” pairs two timeless masterpieces: Messiaen’s “Visions de l’amen” for two pianos and Bach’s Brandenburg Concerto No. 5. Both works are thrilling works that are deeply satisfying emotionally and spiritually—music for the ages. “School of Bach” centers around French music. The great French composers were all deeply influenced by Bach. You’ll hear it in Ravel’s great piano trio, Saint-Saen’s “Bacchanale” from “Samson and Dalila,” the early Debussy trio (here played in an arrangement for flute, cello, and piano), and the great contrapuntal writing in Piazzolla’s tangos. (Remember that he studied in Paris.) And of course, Bach’s trio sonata in G Major, one of his greatest pieces of chamber music, and a model for how instruments can be combined. The “Cradle Will Bach” features a great new flute trio by Paul Schoenfield, Samuel Barber’s “Souvenirs” for piano four-hands (enhanced with video projections as I mentioned above), the gorgeous B Major piano trio of Brahms, and one of Bach’s all-time masterpieces, the Chaconne from the Partita in D minor for solo violin played by the incredible Axel Strauss (below). How do the various venues differ for the musicians and the audiences? 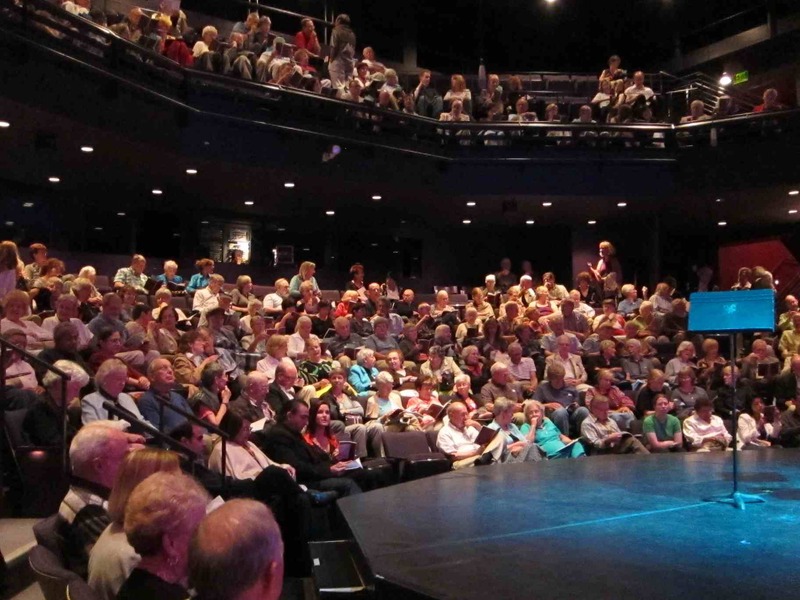 We’re lucky to have three great venues this season: The Playhouse at Overture, the Hillside Theater at Taliesin, and the Stoughton Opera House. The Hillside Theater (below) is VERY intimate—everything is up close and personal. Taliesin just had its 1928 Steinway concert grand restored, so we’ll be playing that instrument for the first time. I’m SO looking forward to that! The sound in the Stoughton Opera House (below) is incredibly warm. It’s an old-style theater with a lot of wood; it’s an environment that encourages thoughtful listening. Just bring a cushion if you have a sensitive bottom! 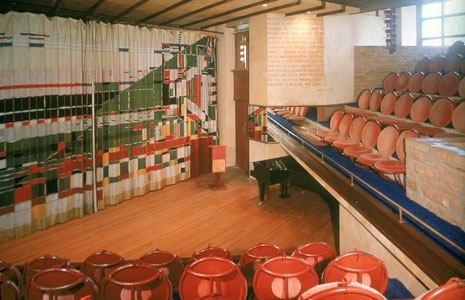 The Playhouse (below) is our most modern venue, with all the conveniences of a modern theater. It’s there we have our fabulous art installation from textile artist Carolyn Kallenborn, it’s there we’re able to do things with lights, cameras, and projections. Since it’s a theater with a thrust stage, it still feels very immediate and intimate. 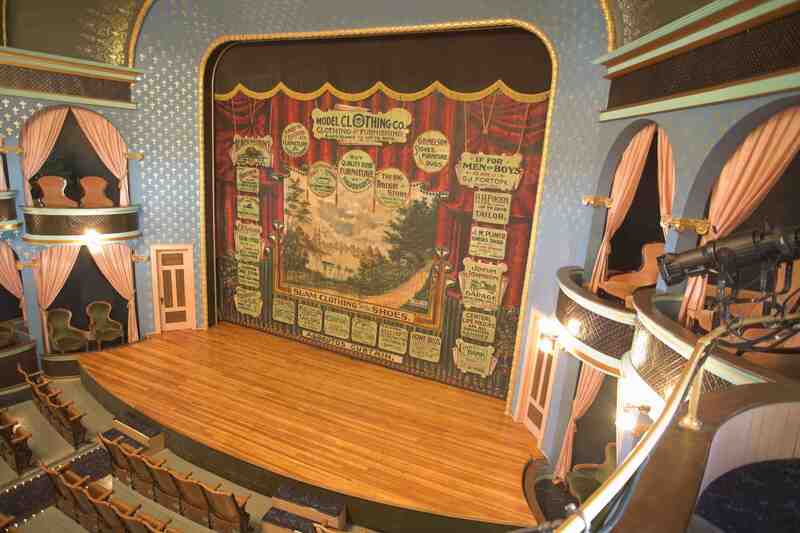 Steph chimes in: We’ll tell you a great Stoughton Opera House secret. If you walk up the stairs that go to the upper balcony, stop some night and listen to music sitting on a stair on the landing. You will hear a most beautiful acoustical phenomenon that is extremely memorable. You might find some other listeners there. How does the future look for BDDS? You both are becoming so busy, do you anticipate another decade or two of BDDS summer concerts? Well, we’re certainly hoping for another decade or two! Yes, we are all incredibly busy all the time. How to find time to run a festival — that’s the eternal question. But BDDS is just about the most satisfying thing in our artistic lives, so we MAKE time for it. BDDS is so fun and so satisfying, and gives us such opportunity to be creative, it is a priority in our lives. In re-creating BDDS each season, we live our marketing motto: “serious fun.” We have a blast doing this. As for future plans: more of the same. Of course, “the same” is completely different every year — different music, different artists, different themes. But we will continue to bring world class performances to Madison, and we will continue to do everything in our power to help audiences have emotionally and spiritually engaging experiences with chamber music. Steph chimes in: My hope is for bigger artistic budgets and larger ensemble pieces that are too expensive to do at this time – we’d love to have more performances of pieces like Stravinsky Octet and the Dvorak Serenades. We’ll just bide our time and wait for the right moment to strike!! I will never forget the magic of performing “Appalachian Spring” without a conductor, and I’d like more opportunities like that one. Stephanie and I have been living by these words for the last 20 years — I have the bulge to prove it — and when you read through this book, you’ll understand why. Chicken Marbella, ribs, cheesecake, ribs, roasted cauliflower, cherry cobbler, ribs, sweet potato pudding, ribs—what’s not to love? 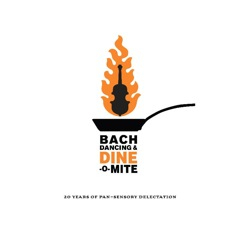 Bach Dancing and Dynamite Society has been dine-o-mite from the get-go: it was born one spring day in 1992 over lunch at The Blue Marlin. I think we had their incredible cioppino, tuna steaks, key lime pie, and a Sancerre to drink. We got to talking about the summer, we agreed we weren’t playing nearly as much as we’d like, so we decided to do something about it. We asked some of our dear friends to come to Madison for the summer to make music. We had no money to pay them, so we plied them with margaritas, frozen custard, and Blue Marlin lunches. Be it noted in the record that we heard no objections to this form of payment. Over the years, the music has become more adventurous, more exciting, both more down-and-dirty AND more refined. Second: And a few words of thanks to our loyal followers: Bach Dancing and Dynamite Society is precisely that — a Society that is more than the sum of its parts. It includes us and you, artists and community, performers and audience. 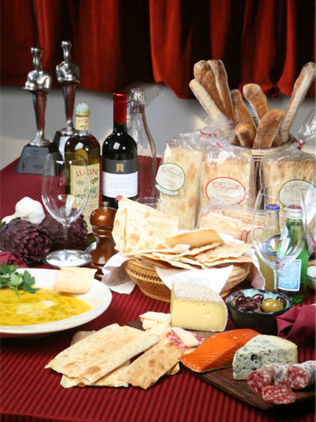 We thank you most deeply for your loyal support over so many years. We wouldn’t have reached our 20th season without you — and, quite frankly, we wouldn’t want to be here without you. Stephanie chimes in: Yeah, what’s the sound of one hand clapping? Composers write music for audiences to hear, and we hope we’ll be doing our job for many more happy years.